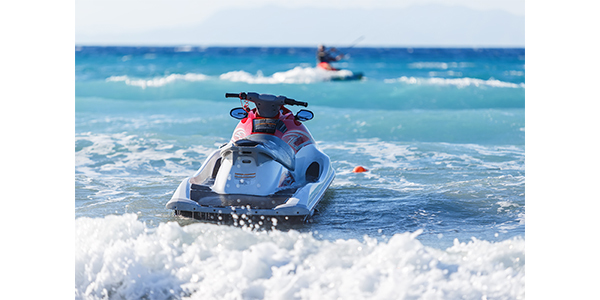 Summertime means personal watercraft action is at its peak and it also means it is time to think about the potential opportunities for your powersports business. Generally speaking, consumers will spend their money on things they want long before they spend it on things they need. When was the last time you knew someone who neglected an oil change on their car, claiming money as the reason, but the next thing you know they have a new TV or patio furniture? It’s all too true, but it couldn’t be more so than for dealers because personal watercraft and their related accessories are something that is always a “want.” I think it is safe to say that most of us have wanted one at some point. We’ve all had a friend who had one and let us ride it, resulting in instant enjoyment and the desire to have our own. If your customers are reminded how much fun it is to ride a PWC, it might be all they need to make the decision to invest in one, whether it be new or used. You can also benefit from parts, accessory and service revenue. Looking at the PWC market, is it possible for all powersports dealers to benefit from it? Maybe not, but when it comes down to it, recreational riders account for the majority of PWC sales and this is good news for powersports dealers, because water is everywhere. Naturally, the market is strong in oceanfront areas and near the Great Lakes, but landlocked PWC owners have found plenty of places to ride. Inland lakes are increasingly becoming hotspots for vacations and watersports; rivers and reservoirs are fair game as well. PWC racing and free riding is taking place not only on the mainstream aqueous hotspots but also on inland lakes across the country, proving that the popularity of the sport is expanding all the time. It is these racers and free riders that are the core enthusiasts of the sport and their efforts stimulate the recreational market. PWC just may be quietly growing into a larger share of the marketplace than it has ever held. Aside from selling PWCs themselves, there are many other opportunities to take advantage of, both from manufacturers as well as aftermarket accessory suppliers and with new PWC features transforming them from fun and done toys to a serious craft that can be ridden all day long on some really cool adventures; the options are endless. Apparel almost goes without saying and with jackets, gloves, wetsuits, eyewear, footwear, lifejackets and more, there are ample choices to provide what your customers may be looking for. Performance accessories such as mats, seats, footholds and railcaps are common with racers and recreational riders alike, providing function as well as looks. 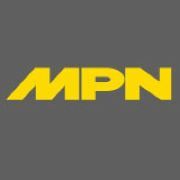 Maintenance and trailer accessories are growing in popularity as well. With the availability of information on the internet, more and more of our customers are tackling their own maintenance, but they still need the parts. Whether it is racing or personal use, basic maintenance items such as oil are always in need. If you already stock factory or performance oils, your supplier almost certainly offers marine/PWC oils too. The popularity of sound systems and electronics is just as strong in the PWC segment as others. Waterproof speakers and mobile phone cases, dry bags, action cameras and even solar battery chargers are common PWC accessories. These types of accessories can even cross over into other markets such as off-road/ATV/UTV, offering good opportunities for powersports dealers who are currently stronger in one than the other. There are many factors to consider in what may seem to be a quiet sport. Careful market research to determine the potential for opportunity is the first step. If you have no involvement with PWC, it certainly does not make sense to bring it on full speed ahead, and maybe it never makes sense, but without careful consideration, you may be missing out. It’s our job to remind people how much fun they can be having with powersports and how accessories can make their experience better. A smart, careful approach to this segment can improve on your current success or create an all-new opportunity for your business.